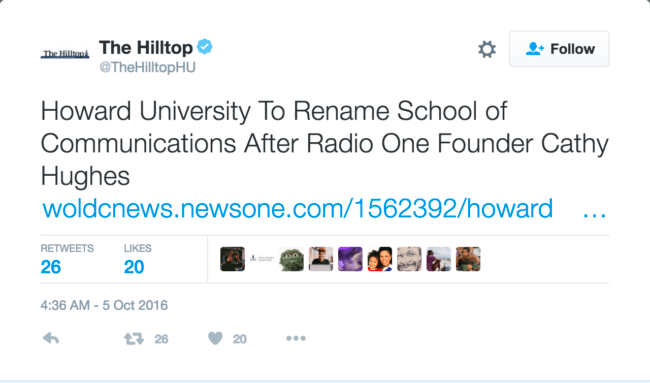 The Hilltop Online is reporting Howard University’s School of Communications will change its name to honor legendary broadcaster Cathy Hughes. 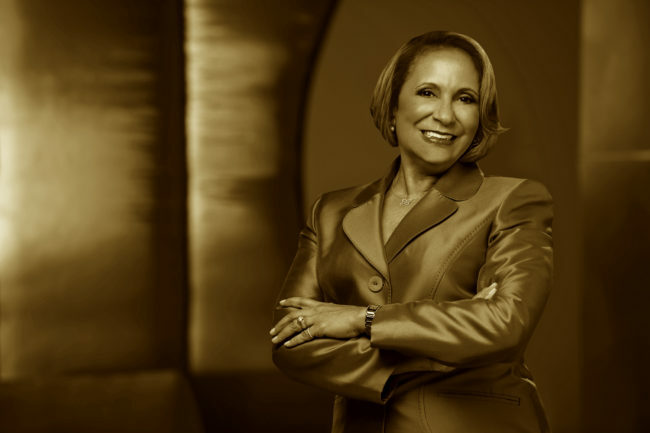 The school will now be named the Cathy Hughes School of Communications. The article discusses Hughes’ longtime relationship with Howard’s School of Communications, which is celebrating its 45th anniversary this year. “Born in Omaha, Neb. in 1947, Hughes is no stranger to The Mecca. After beginning her career in radio in 1969 with KOWH, a Black radio station in Omaha, Howard University offered her a position as a lecturer. She was then appointed as the general sales manager of WHUR 96.3 FM, Howard’s operated and owned campus radio station, in 1973. In 1975, Hughes was promoted to WHUR’s general manager. During that time, Hughes played a major role in increasing the radio station’s annual revenues from $300,000 to more than $3.5 million. In 1978, Hughes would depart WHUR for WYCB Radio where she served as the vice president and general manager of the station. The school naming ceremony will take place on Sunday, October 23. Washington, DC recently named the corner of 4th St. NE and H St. NE as Cathy Hughes Corner, where Hughes purchased and operated WOL 1450.